I have to remain anonymous to avoid the backlash, but the subject has to be addressed. Black Americans, African Americans or whatever designation Negroid American people ascribe to, frequently show a disdain for their own kind every day. Many of us desire to be entrepreneurs but are afraid we would not succeed because our most obvious and most expected clientele, other black people would not support our businesses. Many of us have decided that our own kind do not possess the ability to run a quality business or deliver a quality product, unless we are working for a white business owner. I had a friend who stated to me they wouldn’t open a nail salon because African Americans wouldn’t patronize it. They felt that black women would go to Asian salons before a black owned salon. I personally wish to challenge this assertion. In my experiences as a dentist, I have been very disheartened by many of my own people. Some black people will go only to white doctors for all services never giving their own highly trained and educated professionals an opportunity to provide the same services. Black doctors who set up practice in the communities where black people live must suffer indignities such as being referred to as a “ghetto practice.” A white doctor can have a practice in the black community and this would never be said. What makes it ghetto? Because we hire black skinned people? Because we work in a black community? Are we always compelled to hate ourselves, to think less of ourselves, to think that the white doctor or business owner is better by virtue of his or her white skin? Here’s what tends to happen. Many of our potential clientele travel for miles away from our communities looking for white practitioners who always charge much higher fees. I have seen black patients get a dental treatment plan at a white practice for $15,000 and get talked into expensive financing plans to satisfy the demands of the treatment. I’ll ask a patient to pay $5,000.00 for a treatment plan and they are quick to reply, “I don’t have any money on me.” Or they offer to pay me $50.00. The white doctor would politely run get them out of the office and not do business with them. And yet, 75% of African Americans are running to white dentists. Many Black dental offices are empty and trying to get patients. This is ridiculous, when you consider that of the 155,000 dentists in the country only 7500 are black, which is less than 1% of all dentists in the country! This explains why some black dental practices are going out of business and why some black dentists can’t find employment. The 2012 US Census Bureau estimated there were 44,456,009 African Americans in the United States, meaning that 14.1% of the total American population of 313.9 Million is Black. This includes those who identify as “Black Only” and as “Black in combination with another race.” The “Black Only” category totaled 41.2 million African Americans or 13.1% of the total U.S population. With approximately 7500 dentists, black dentists should be doing very well everywhere but this is frequently not the case. 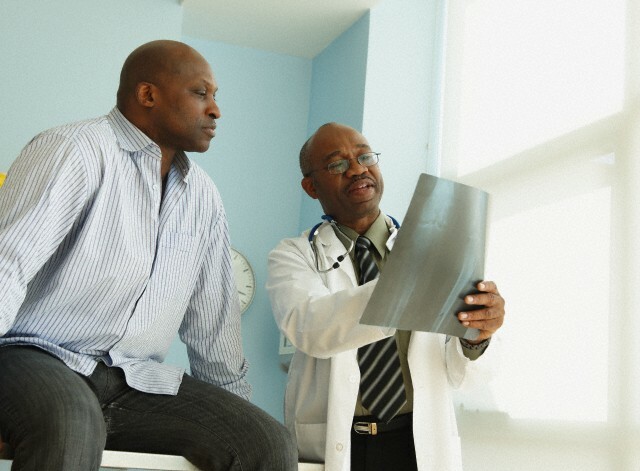 As a community, we need more participation from black people as patients. I feel that if I don’t sound the alarm in an effort to awaken our people to this fact, they will falsely assume that black dentists are wealthy simply by virtue of the title “Doctor.” Nothing could be further from the truth. We need our target clientele to patronize black practitioners. Black dentists are just as capable as white and non-black dentists. Many of us go to the same schools, pass the same board exams and get the same state licensing. The only difference is that many black dentists set up practices in our communities to serve our people. The same communities resemble those areas where we grew as children. Believe it or not, black dentists and doctors provide great services. We are also the most likely persons to supply your family with employment opportunities. I had a black female tell me about how pretty the white dental offices look. She went on to describe how the white dental office had all the latest gadgets and decor. I explained to her that black medical professionals face the same financial scrutiny by banks and other lenders. It is harder for us to get loans and lines of credit. And while most black patients are running out of their own communities to white practitioners, I don’t think they realize they are bankrupting their own communities and enriching the wealthy elsewhere. The wealth leaves the black community. We have admonished our people to listen to the financial data relative to black economics and understand what it means. It is said that a dollar circulates in white communities seven times before it leaves while only circulating one time in black communities. (Click here to learn more about how black people spend their money). All of this reminds me of a saying that the publisher of this website/blog frequently repeats. He says when it comes to doing business many black people have been culturally conditioned to believe that the “white man’s ice is colder.” Think about it. If the black population was a nation, the black economy would be the ninth largest economy in the world. This means we are not doing enough business in our communities with black entrepreneurs. We are unknowingly bankrupting ourselves. I hate to say it; but maybe my friend was right. Maybe black women will only patronize Asian nail salons instead of black salons. In many black neighborhoods there are more Asian-owned restaurants serving us “soul food” than black restaurants. What does this say about us as a people? Do we really have hatred and disdain for our own? Do we not like ourselves? I guess my final point, is that I believe that we have to do better as a community. As a Black Provider of Healthcare, with an office in the Black community, I applaud this discussion. Obviously there are multiple issues, and obviously businesses are expected to provide a “quality” service. However, none of the previous post mentioned the quality of the health-related treatment provided – which I hope would be MOST important. I also wonder if those who had better experiences in white offices have any children who have practices. (Would they NOT patronize a relative because they are Black) I think not. No provider wants an unprofessional staff or patients to have a bad experience. And it is an extra challenge that we have when employing those from our communities who reflex some of the negative attributes in our communities. But it is those opportunities and exposure we provide that will benefit our employees, and ultimately our communities. 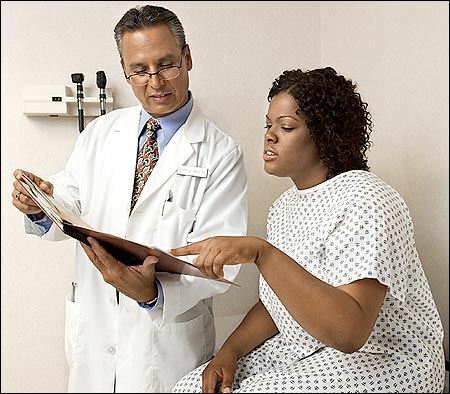 And studies indicate, patients relate a better health outcome when then have good communication with their provider. And in my experience, Black patients relate better communication with Black Providers. Apologies raising a “dead” thread, but I felt compelled to reply. I agree wholeheartedly with Dr. ______’s assertion; that generally, Black Americans are woefully conditioned to patronize non-Black business. It’s something that has plagued Black economics since the early half of the 1900’s. Yet others have also spoken a rather inconvenient truth. That Black business must earn its patronage through competitively high quality goods and services. It’s simply not enough for one Black person to do offer exceedingly high quality services, while most others are apathetic, mediocre or indifferent. I want to do business in the Black community. I’m tired of trying to succeed in the mostly-White suburbs, only to be thrashed by the competition. But even patronizing corporate-owned businesses, it’s usually Black employees who ruin my experience through incompetence, rudeness or indifference. Smile at your customers; lose the “whatchu wont?” look on your face; know your products and services. And when I do patronize your business, be open during business hours! Earn the business! That said, we gotta start somewhere. The status quo will guarantee our economic extinction. I noticed the three above posts chose to ignore the primary premise of the article to address the lack of African Americans patronizing black businesses and the negative impact this has on blacks as a whole economically. In fact, they gave credence to the notion of aiding the wealth of others, whites, Asians, Latinos but not our own. There is absolute acceptance on my part that black medical professionals do need to improve customer service with the front office staff, but don’t neglect to understand that some of these employees represent an effort to hire especially young African Americans from within the areas they live. We come from the historic lineage of Dr. Martin Luther King, Dr. W. E. B. Dubois, Booker T. Washington and Frederick Douglass. These people led a 100 year liberation movement that allowed us to go from slavery to freedom, to be able to attain an education, to live in dignity, and rise to a point to help each other not forget from where we came from. As they made it possible for a very small number of us, to attend college and fewer to become doctors, they would be appalled to find that all that they fought and died for, many of our people choose to take for granted and ignore the blood, sweat and tears it took for us to get here. By the very least, help your black professionals to create that environment your feel is necessary for you to patronize from you own. We are the only people I know who run from their own for services. Whites don’t, Latinos don’t, Jews don’t, even blacks from foreign countries patronize their own when they arrive on these shores. We don’t appear to be very smart in this regard unless we are black business owners. If your experience with one African American business owner is unpleasant, this is no reason to paint all black business owners with a broad brush. Give them another a chance. You are likely to find many professionals who will meet or exceed your standards. Gloria and Mike, you make some great points. This issue is about consistent and quality SERVICE! My experience is that the medical practitioners may be sound and expert, but some of their staff know very little or nothing about customer service and professionalism. Unfortunately, many black people still accept inferior service. Doctors, your name is on the practice. Make sure that all of your employees adhere to the high standards and provide quality service and treat people with respect. I’ve visited many white and black medical practices and my experience is that most of th the white practices have courteous and professional staffers. They greeted you when you entered the office and let you know if the doctor was running late. In almost every case, I was seen within 5-10 minutes of entering the office. My experience with black practices was very different. I’ve had to wait for over 30 minutes and no one from the staff would even acknowledge me until I made myself known. I would give the black doctors feedback about the staff, only to find out that they were aware that the staff was inferior. In reality, my time is just as valuable, if not more than the doctors. For me it became an issue of RESPECT. Part of it is ‘the white man’s ice is colder’; part of it is some Black professionals make excuses for not treating ALL of their customers with respect. Having a website or business presence in cyberspace is not a ‘guarantee’ of drawing customers. It boils down to service; prompt service…and if you make a mistake, fessing up and offering a refund. Success doesn’t have a color, but it does have a standard. Black companies still have to earn business just like other companies. I am an AARP-aged African-American woman who has lived my adult life in various regions of the country (The Deep South, North/Midwest & West Coast) & have been on the receiving end of medical & other professional services for the better part of my life and SADLY, I must say, that almost without exception, the customer service/patient or client relationship has been better with non-black businesses & organizations. More attention is paid to common courtesy, timeliness, meticulousness & and attention to detail. Work ethic seems to have escaped a number of black professionals……..attitude, attitude, attitude! On the other hand, I have encountered some very pleasant professionals who make me proud, but these numbers are in the minority! How to conduct business is not just a matter of “Degrees”, but in large part is “Common Courtesy”, “Dignity” & “Respect”! WAKE UP, my people, or the world will continue to pass you by!!!! Hey Buddy!, I found this information for you: "Are Black People Conditioned To Think Less Of Black Professionals?". Here is the website link: https://blackmeninamerica.com/are-black-people-conditioned-to-think-less-of-black-professionals/. Thank you.